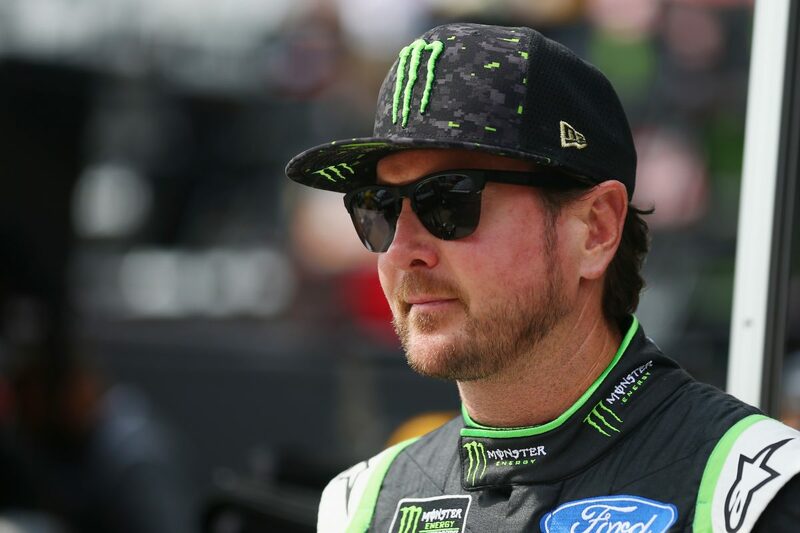 Kurt Busch is singing “Movin’ Right Along” as he heads to Dover (Del.) International Speedway for Sunday’s Gander Outdoors 400 NASCAR Monster Energy Cup Series race. “Movin’ Right Along,” was recorded in Busch’s birth year of 1978 for the 1979 smash-hit film The Muppet Movie. Frank Oz was the voice of Fozzie Bear while the late Jim Henson was the voice of Kermit the Frog. The two-minute, 57-second song was the second song on the gold album and got as high as No. 32 on the Billboard 200 charts. The album even won a Grammy in 1980 for Best Children’s Album. But Busch isn’t going to California, Rhode Island or Saskatchewan as they sing about in Movin’ Right Along. Instead he’s headed to Dover, Talladega and Kansas City after advancing to the upcoming Round of 12 of the NASCAR playoffs. He’s seventh in points, and in his first visits to those events in 2018, he posted finishes of fifth at Dover, second at Talladega (Ala.) Superspeedway, and eighth at Kansas Speedway in Kansas City. If that happens again, Busch will transfer to the Round of 8. Perhaps Busch should bring Kermit and Fozzie Bear along with him in his No. 41 Monster Energy/Haas Automation Ford Fusion for Stewart-Haas Racing (SHR) at Dover. He has one win, eight career top-five finishes and 10 top-10s at Dover. Additionally, the 40-year-old driver has led 426 laps, has an average starting position of 11.5, an average finish of 18.3, and has completed 92.7 percent (13,362 of 14,415) of the laps he’s contested there. He finished fifth in May 2018 after starting ninth. If Busch can score a victory at Dover this weekend, he’ll be Movin’ Right Along with an automatic bid to the Round of 8. And he’ll probably need to bring Kermit the Frog and Fozzie Bear along – after a stop in Saskatchewan to celebrate, of course. What is it about Dover that makes it such a challenging racetrack, and what do you have to do to be successful there? Do you feel it has earned its nickname? How physically demanding of a racetrack is Dover?